This is a game that requires considerable time investment, and the dividends it pays hinges on whether you’re a digimon fan or not. In schoolyards during the late 1990s you were either a Pokémon or Digimon kid. I was both. Pokémon had the better video games, while the Digimon TV show was far superior. Over the last 15 years my interest in the franchise has waned, attributed no doubt to the lack of Digimon games released outside of Japan. But with publisher and franchise owners Namco Bandai’s recent efforts to bring more titles to the west, these adorable digital monsters are once again on my radar. Digimon World: Next Order is the latest entry in the Digimon World series that debuted almost 20 years ago on the original PlayStation, and the first World game to release outside of Japan since 2005. Wrapped in the guise of your typical JRPG, Next Order tasks players with caring for two Digimon partners as you explore vast open areas to uncover the mysterious behind a devious plan to plunge the digital world into chaos. 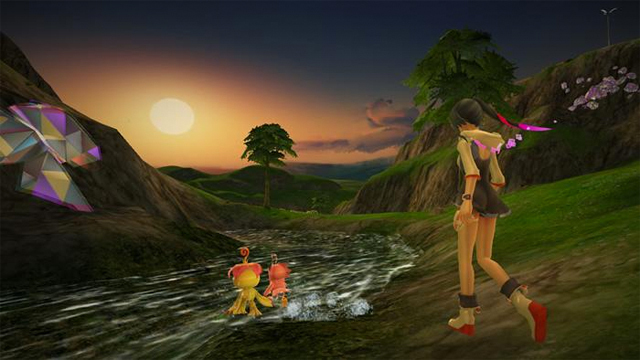 The focus of the game is the tamagotchi-style caring mechanic, in which you care for two partner Digimon. This is handled via an initially intimidating and complex system, which is sort of like taking care of those Digimon virtual pets from the ‘90s, only with a lot more effort. While Next Order tries to ease players into the swing of caring for your partners, the tutorials are text-heavy affairs that are guilty of boring the player rather than explaining anything of real value, leaving a lot of room for guess work. However, once you get the hang of how evolution works, how to source food, medicine and, yep, even items to allow your Digimon to use the toilet when you’re out exploring the game world, things get a lot easier, and the game really begins to come into its own. I had real difficulty getting into Digimon World: Next Order for the first five to seven hours. This was due largely in part to my partners constantly falling sick and me not knowing how to properly source the right items to nurse them back to health. Items are scarce for the first few hours as you have to rely on a singular Digimon in the game’s main hub town to provide you three to four random items each day: Next Order features an in-game day / night cycle, with loads of daily events happening to keep you busy. You can also earn random items from defeating enemies out in the field, as well as purchasing select items from vending machines at specific locations. It might seem like I’m bemoaning the game because I lacked the ability to properly manage my inventory or didn’t try hard enough to avoid getting my Digimon sick, but it really comes how poorly the game’s opening few hours are paced. 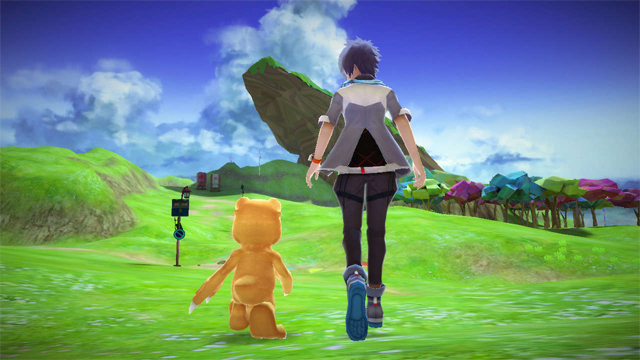 Digimon World: Next Order follows a very particular structure, one dictated by its plot. Upon your player character (you can choose to be either male or female) being sucked into the Digital World, you soon learn that out-of-control Machinedramon are attacking towns and cities all over the place. A wise old Digimon named Jijimon sees you as some sort of ‘special one’ and tasks you with going out into the Digital World to save Digimon and bring them back to his village: the game’s town hub. The first few hours is you exploring the world’s different climate areas in search of helpless Digimon to bring back to town, but only after you complete a task for them: these range from collecting certain items, to going to another area and talking to a different Digimon on their behalf, while others are more challenging and include puzzles or riddles. This ‘monster hunt’ continues until you’re able to help enough digital monsters to hit the next plot point, in which you set out to either fight a boss or trigger an event which leads into a cutscene that pushes the narrative forward. Once you’ve hit a few of the first major plot points only then does Digimon World: Next Order really start to take off. 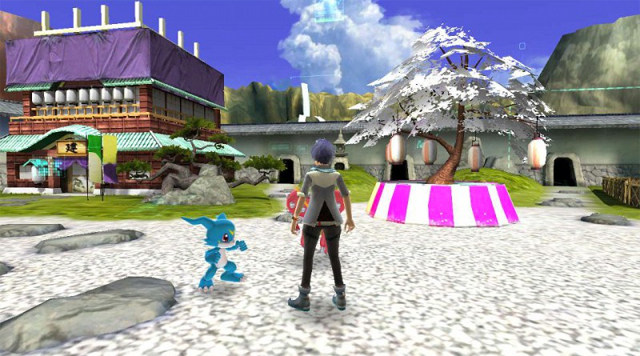 The game’s hub town blossoms with all the Digimon you’ve brought back, who in turn offer valuable services such as a more robust training centre to train your Digimon, a fast-travel series to easily access previously explored areas, and even a working hospital where you can purchase medicine and heal your ill friends. By this stage you have wrapped your head around how to care for your partner Digimon and have succeeded in evolving them all the way to Mega level, the strongest level Digimon can reach outside of special conditions, as well as how to really approach the game’s evolution mechanic as a whole. If you’re not familiar with how Digimon work all you need to know is it’s a little bit different to Pokémon. Instead of gaining experience and raising their individual levels, Digimon grow over time, with their evolution to the next stage of their life occurring after a certain amount of time. However, Digimon are unique in that any single individual can evolve into multiple new Digimon, and only by discovering the special requirements for each potential evolution can you ensure you get the monster you want. Of course, these requirements aren’t available to you at first, so you’ll be fumbling around in the dark for at least the first couple of times your partners evolve. For example, you won’t know how be privy to the parametres to evolve Agumon into Greymon, at least not at first. You can uncover the criteria through randomly occurring moments which allow to you engage with your Digimon wherein you can praise them when they win a battle or complete a rigorous training session, or scolding them when they misbehave. By interacting with your Digimon through these “communication” sequences the potential forms they can evolve into, as well as the requirements for those forms, will slowly become available. The requirements to obtain certain evolutionary forms are tied to a Digimon’s stats. Raising the number of the specific stat(s) needed to evolve, say Patamon to Angemon, can be done by visiting the training gym in the town hub. Here you can select to raise a Digimon’s strength, wisdom, speed, stamina and so on. As in the real world, training causes fatigue, so take care not to push your Digimon too hard. Doing so leads them to become sick, and may even result in death. But don’t worry: your partner Digimon will revive instantly as a newborn. Once this occurs, all the knowledge gained from the previous Digimon, such as the forms it evolved into and the requirements for that form remain, meaning you don’t get pushed entirely back to square one. There are other parameters to consider when it comes to Digimon evolution, such as a value called Training Fatigue, the level of disciple a Digimon has, the number of battles they’ve won, and their overall bond to you as their tamer. Once I began to really sink my teeth into evolution it quickly became my favourite aspect of the game. It’s a fun and addictive part of Digimon World: Next Order, and I probably spent half my playtime really exploring the depths of this mechanic. However, I do take issue with how much the player is forced to loop through the evolution cycle time and time again, and how it’s tied to, and impacted by, game progression. Like with any RPG, the deeper you venture into the game world the stronger the enemies become. Having a strong team of Digimon becomes vital to not only explore further into the game, but progress through the narrative. When your powerful Mega or Ultimate Digimon dies and reverts back to its baby forms, you need to invest considerable time training your partner’s back up to a more powerful, battle-ready state. When I took a step back I realised this entire system, while centric to the whole Digimon experience, translates to classic video game padding. By having players engage in an infinite loop the game’s playtime will be pushed higher, possibly masking the lack of content scattered around its relatively empty open world, while also delaying the player’s progress. 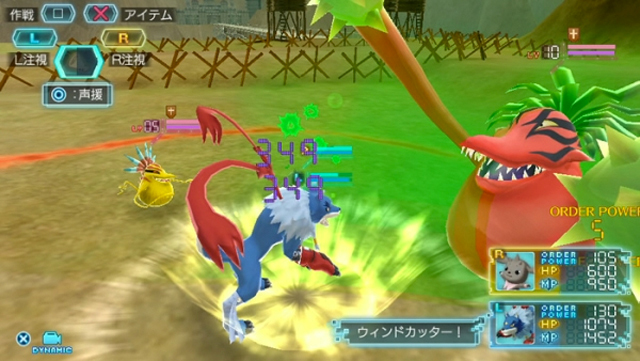 Digimon World: Next Order’s combat occurs automatically, with players able to input commands using OP (Order Power) to trigger attacks: the more OP a move requires, the more powerful it is. OP is gained in-combat by pressing X whenever a Digimon lands a successful hit on an enemy. To unleash an attack manually simply hold down either the L1 or R1 buttons – each Digimon partner is tied to a different button – and move the analog stick to select your chosen attack and press X. Holding down both L1 and R1 at the same time gives you the option to unleash a powerful combo attack, though both Digimon needs to have 150 OP for this to be triggered. It’s a fairly basic system that has only a slight level of depth thanks to the rock / paper / scissors typing Digimon have. Through my experience I often found you could largely ignore these typings and simply overwhelm with brute force: I focused on training my Digimon on strength and stamina the most. 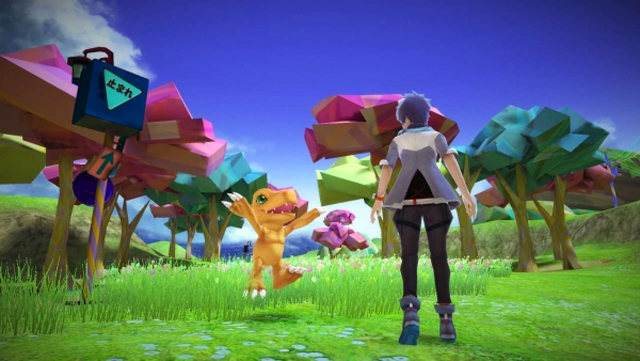 Digimon World: Next Order is an essential buy for any Digimon fan. The core of the game is that classic Digimon experience of caring for and raising your favourite digital monsters, making this a must-play for anyone even remotely interested in the franchise. As a JRPG and a standalone video game in its own right, there are a lot of issues here. The game world, while vast, lacks compelling content and appears far too empty for that reason, while some of the gameplay systems are intimidating and confusing. Worst of all, aspects of the game that make it fun also hinder it, such as the infinite loop of your Digimon partners acting as considerable padding.